Bursting pop anthems, that with the right coverage, could dominate the airwaves. Granted it might only contain three songs, that last for only around twelve minutes in total, where other pop acts this year (Erik Hassle, Meg Myers, Hockeysmith) have provided a solid 15 minutes. 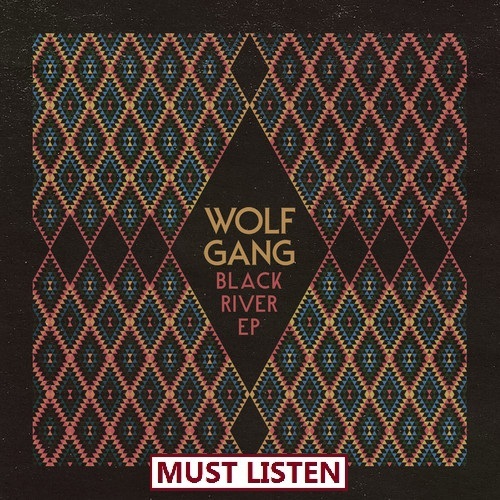 Wolf Gang’s selling point on Black River, is within each song, lies a four-minute pop song, overloaded with euphoric, benevolence, with inspiring choruses bigger than the likes of Coldplay . When Wolf Gang were dropped by their major label Atlantic records, alarms bells were ringing for fans with the impending question of what will happen to them? Dropped by a major label, how would a band recover? Well, Wolf Gang’s slick pop rhythms were almost immediately snapped up by Cherrytree records, an imprint of another major label, Interscope. Sadly, it’s quite common that once a band release their first album with a major label, everything after feels, forced, slacking compared to their beginning, dare I say it, mainstream. Thankfully, Wolf Gang have avoided this curse. In actual fact, they’ve become several times greater, with even more beautiful sounds, showcased on Black River. As the title track and lead single; Black River had a black hole to fill, with all of the concentration on Wolf Gang, after the preview of the song and news of their label drop. Surely enough, it filled this black hole, maybe even twice. Black River is as pop as pop music can be. Gentle, gaily, dancing beats, with infectious choruses that are impossible to stay flat faced to partner up with Max’s incredible vocal range for royalty worth pop. The EP’s middle track Back To Life, shares the same essence of Black River, with charging rhythms, pumping fairy dust around your body, so instead of a rush of blood to make you crazy, you get a rush of captivating magic, loading your body with the pure hearted intensity of Do You Want To Build A Snowman from Disney’s Frozen. Just slightly more mature, and zero mention of snowmen. Now if there has ever been a way to close an LP or EP with a song that could easily have been the opener, it’s been done. That doesn’t mean that it can’t be done again, and stunningly with Last Bayou. Not sticking to the description of a bayou, being a slow-moving river, Last Bayou explodes constantly with drum beats crashing into superb guitar trickles, creating nothing short of a supernova, on top of Black River’s already beautiful cosmological display.